Create a custom city guide app with your favorite attractions. Create a custom guide of your favorite attractions to share with friends. Powered by a Google Sheet. Create a personalized guidebook with your favorite sights, sounds, and smells in your city. Share it with friends & family to show them around with a personal touch! Keep your investors & advisors apprised with a custom app for your startup. 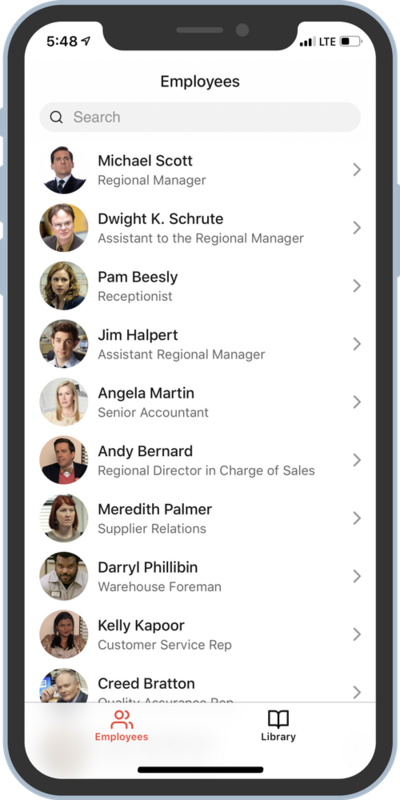 A beautiful, free employee directory app for your company. Ready to build an app? Leave your email and we’ll help you get started. 😱 Oops! Something went wrong, please try again.